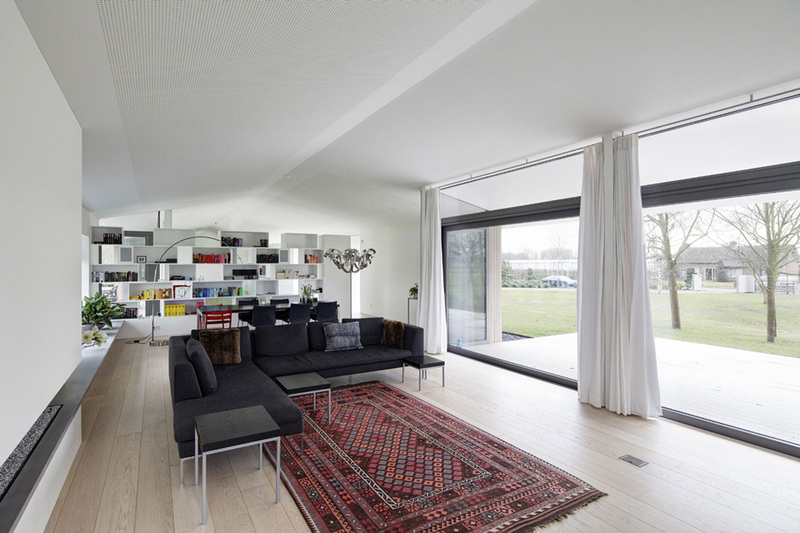 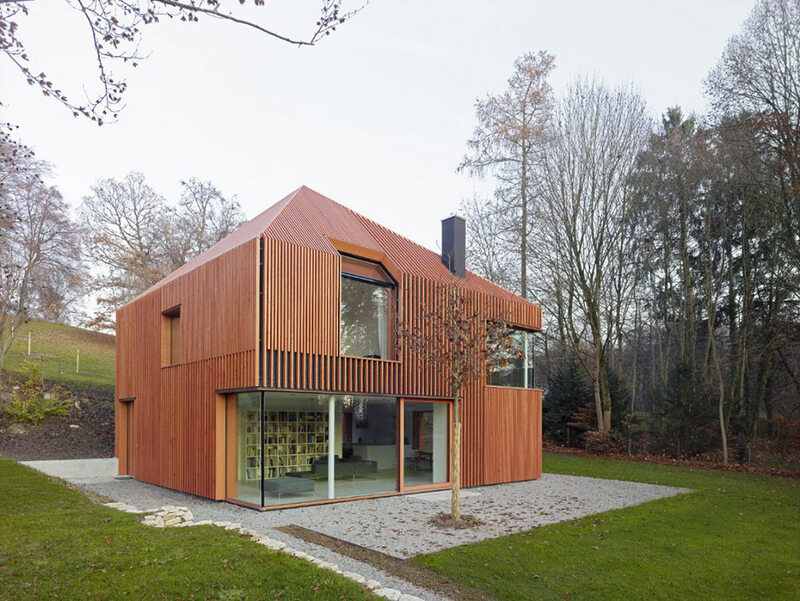 House L was completed in 2012 by the Breda based studio Grosfeld van der Velde Architecten. 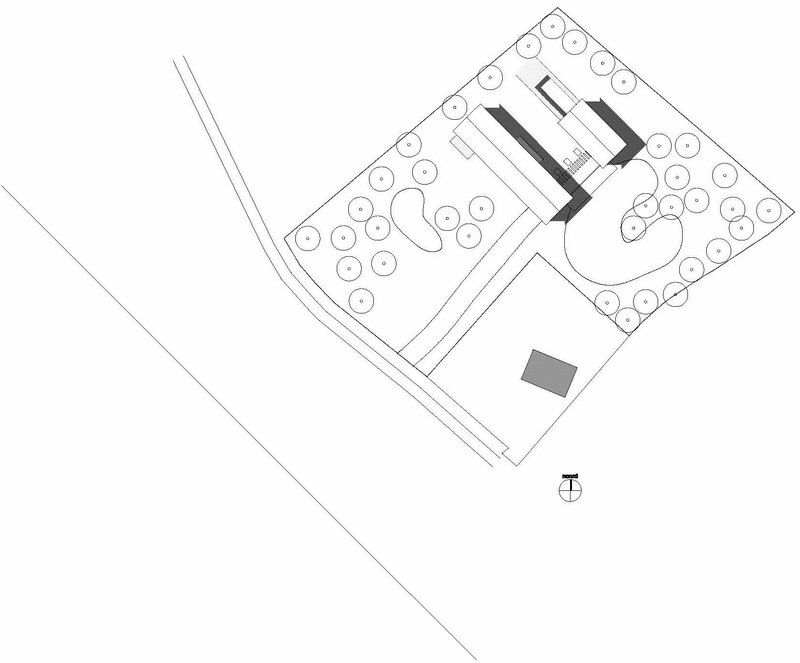 Landscape and planning conditions determined the location of the house, to the rear of the plot. 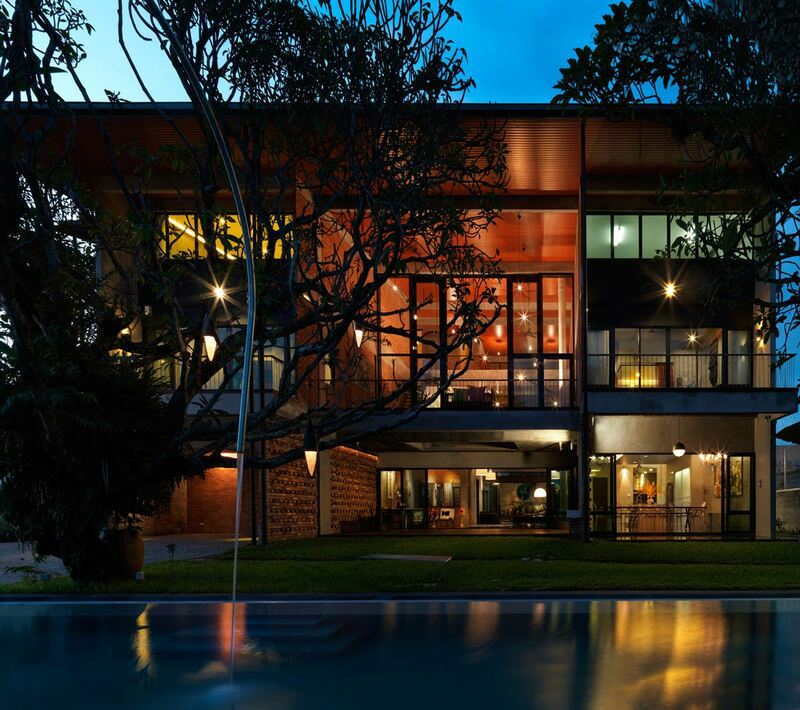 The bedrooms and bathrooms are situated in the basement level, with large windows providing wonderful views over the pond and gardens. 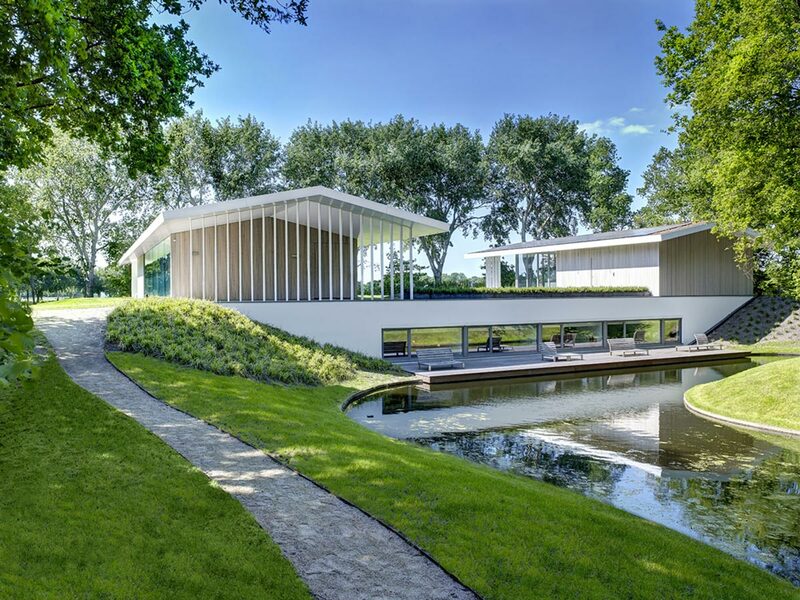 House L is located in Oosterhout, The Netherlands. 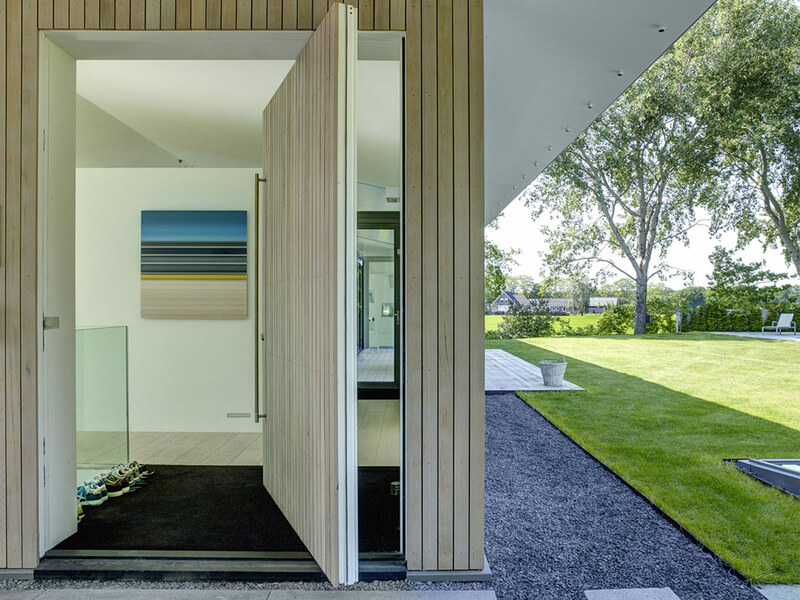 “The existing landscape, the orientation to the rural surroundings and the planning conditions were the deciding factors in the siting of the dwelling at the rear of the plot. 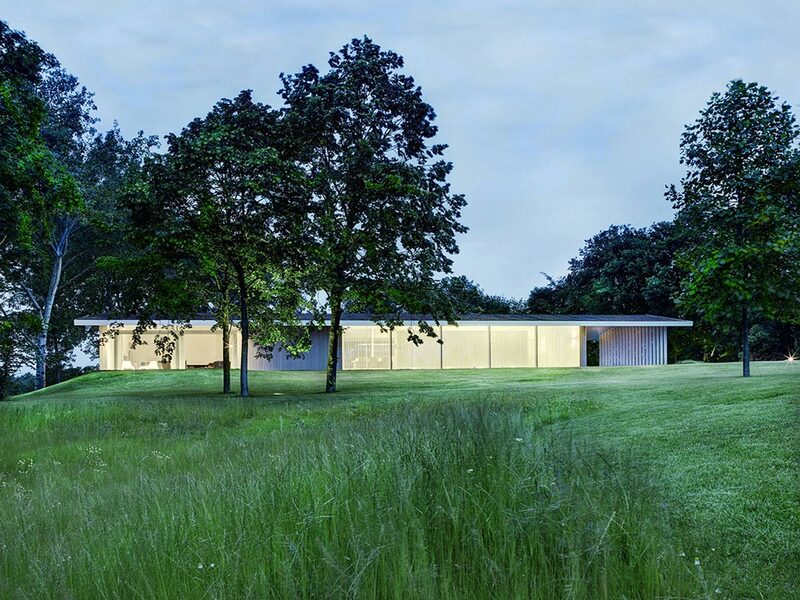 The ground floor was raised with respect to the current ground level, with large glass surfaces positioned to look out over the rural landscape and terraces running the length of the building with an unbroken roof surface on corbelling, all of which allow the outer space to be experienced to the full. 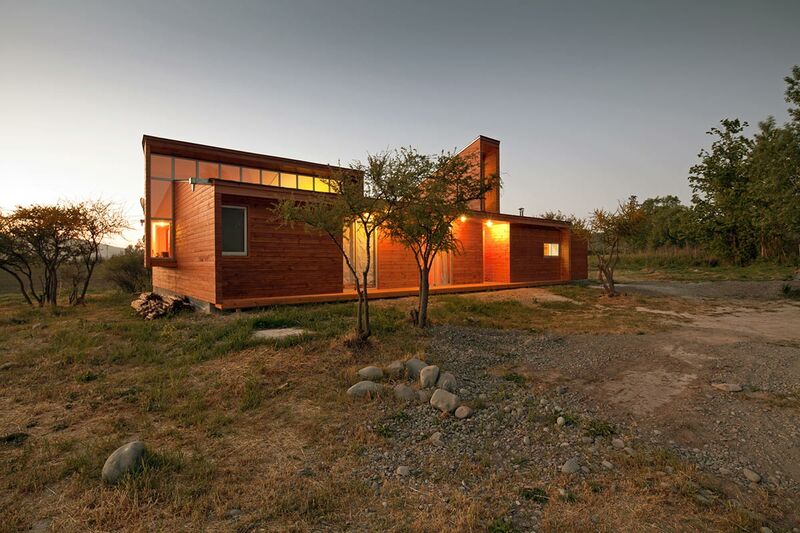 At the same time, the large roof projections are designed to prevent too much light entering. 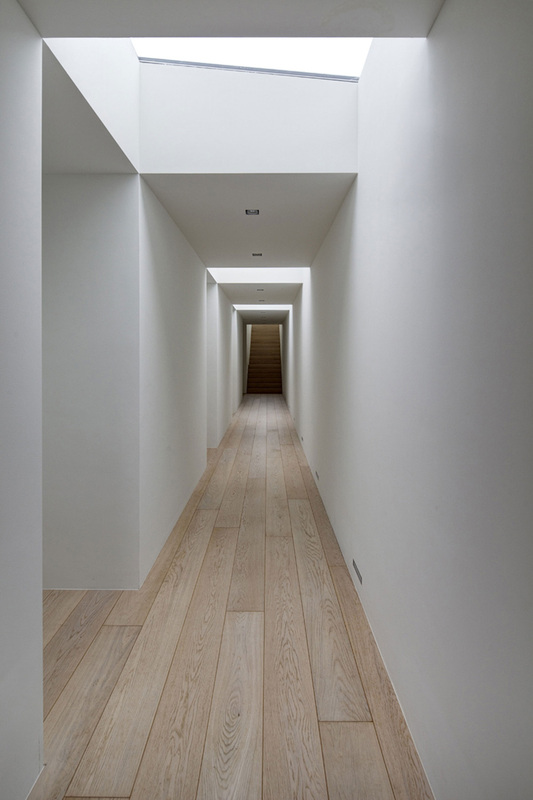 The ground floor may be described as a single, open space where the massive volumes and the project-oriented design of the interior provide a further connection with the outside. 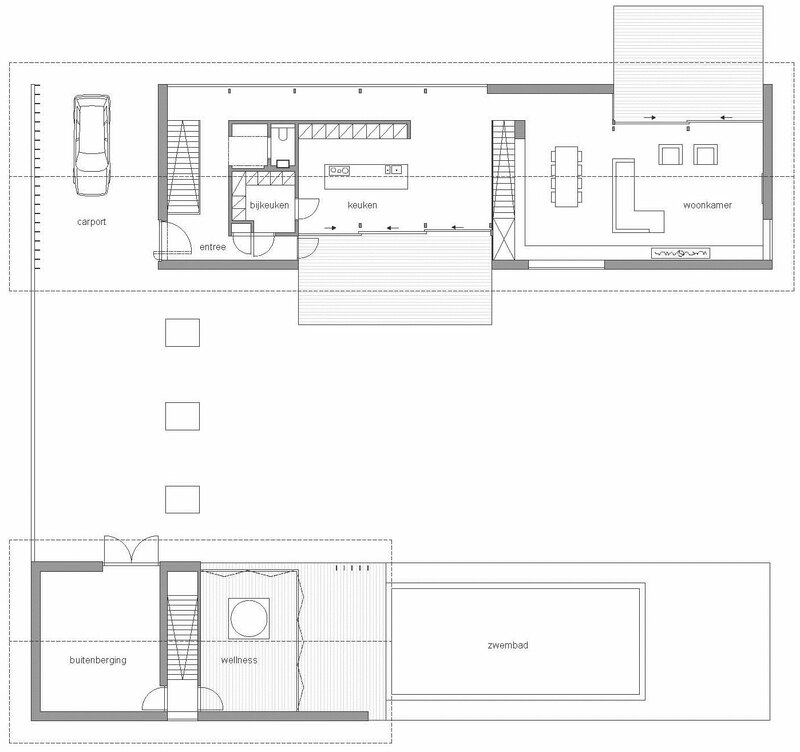 It accommodates the primary living functions, with all rooms flowing seamlessly into one another. 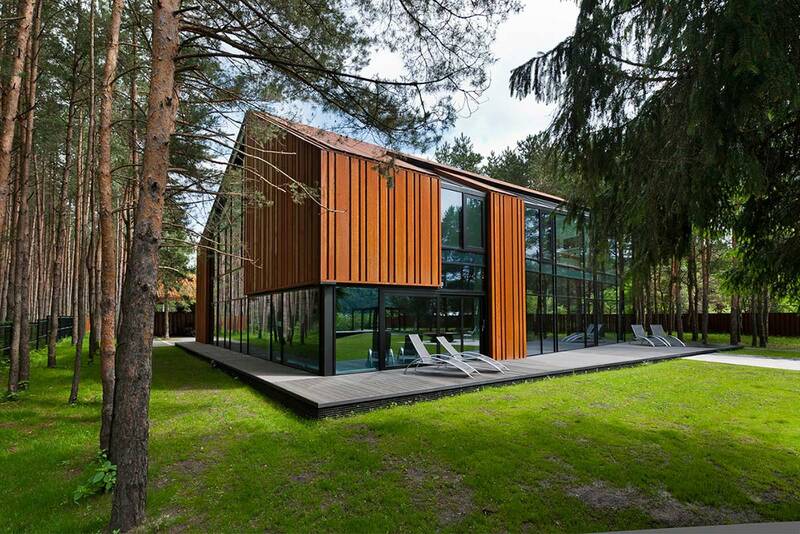 The annexe accommodates a number of ancillary functions, with the outdoor swimming pool housed in an extension. 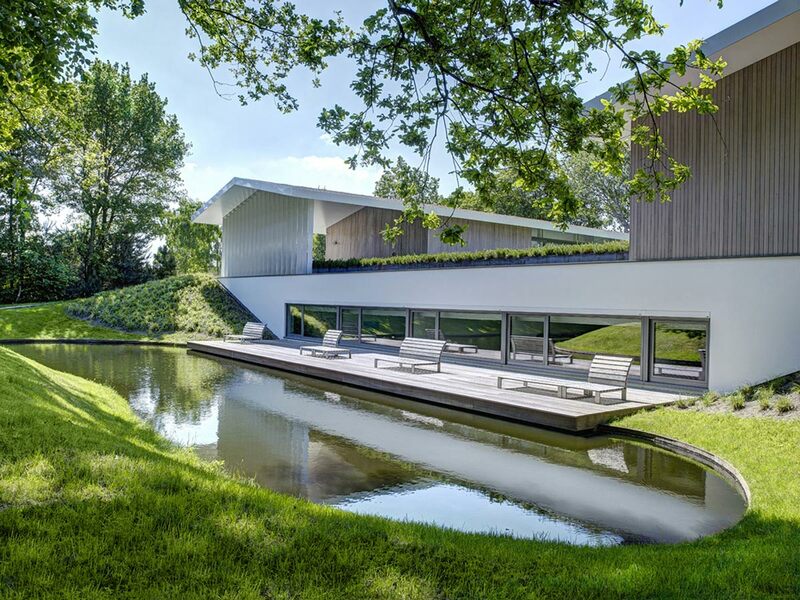 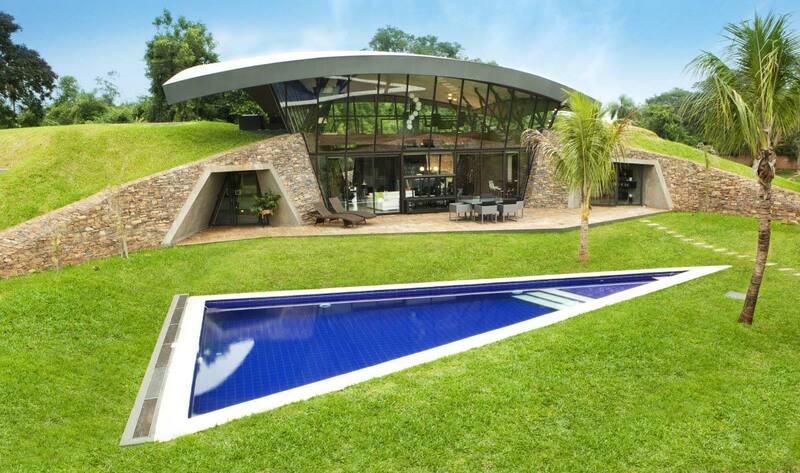 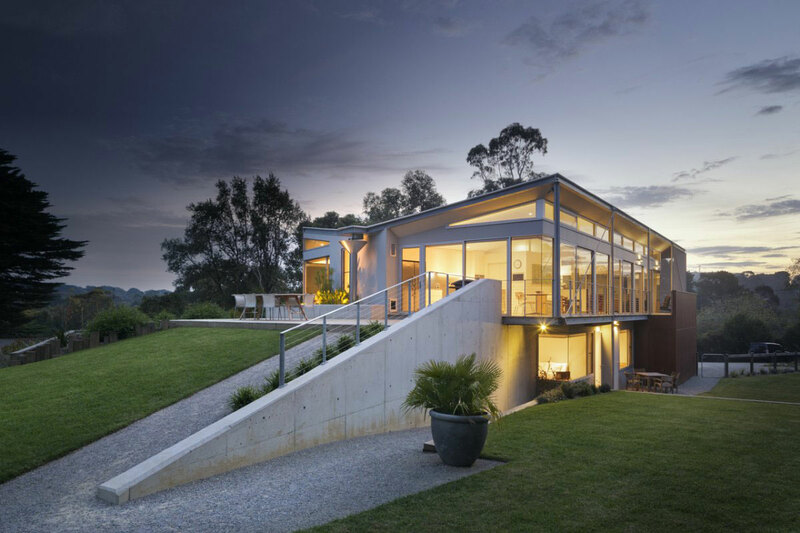 Both volumes are connected underground by a basement level in which the bedrooms and bathrooms are situated. 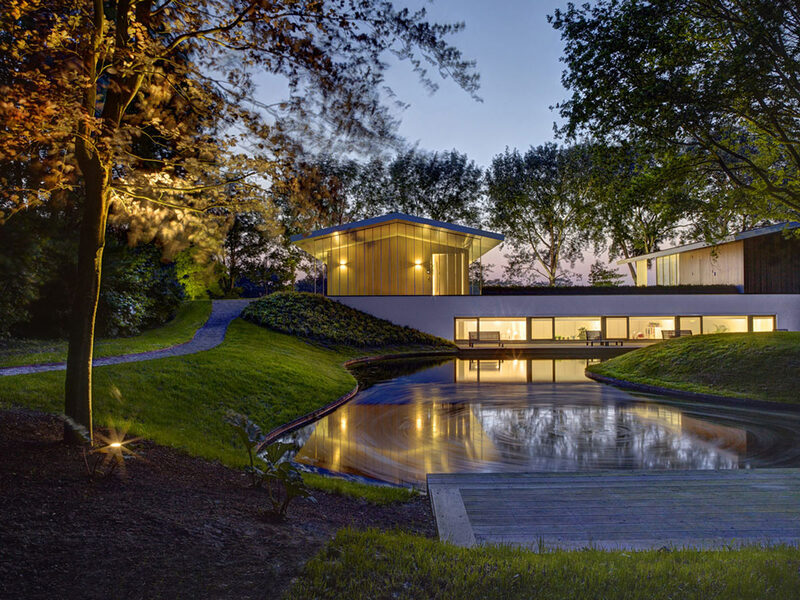 Here too, the landscaping of the grounds and the large glass windows allow for outstanding views over the surrounding landscape. 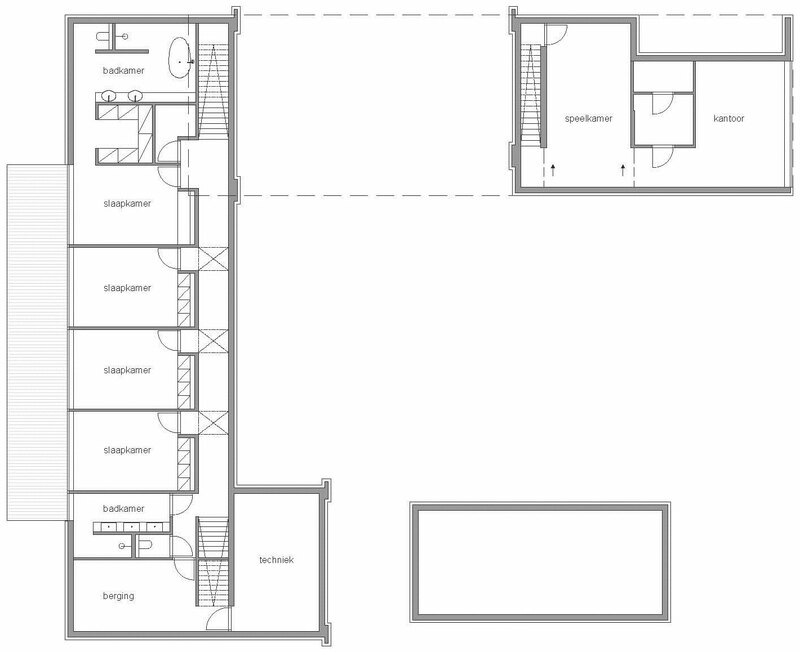 The office and playroom are sited in a separate basement area under the living space.